Working on ships and in shipyards is dangerous work. The LHWCA provides medical benefits and lost wage compensation to longshore workers, stevedores, machinists, boilermakers and others injured, and to the families of workers who die, while building, repairing, and loading and unloading ships on navigable waterways and working in nearby areas. The Jones Act provides benefits to seamen injured aboard ships. Both Acts include claims for occupational exposure injuries, including asbestos-related diseases, silicosis and hearing loss. 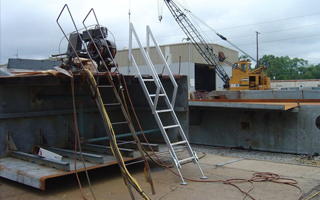 The Law Offices of Devin Robinson protects the rights of injured ship and shipyard workers.